The belief that parents should punish their children so that they behave is still present. 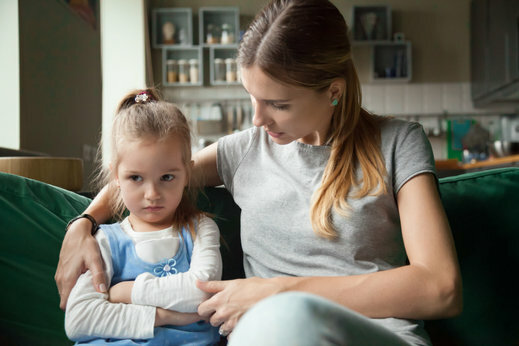 That’s why parents are usually surprised when they learn from a children’s Montessori center in Anaheim, California that most of the things that we perceive to be discipline (e.g., spankings, consequences) do not at all help kids become responsible individuals. Believe it or not, kids learn from the things they have seen and lived through. So, if you want to teach your kids to become better individuals, the best way you can do that is by being their role models. You have to treat them the way you want them to treat other people. Otherwise, inflicting punishments for “bad behaviors” would only encourage them to act aggressively. As a reliable montessori school in California, we at Anaheim Hills Montessori School recommend that you look for ways in which you can create a feeling of safety in your children and connect warmly with them. This is because these are opportunities that enable you to help them process the feelings that caused them to act out. It is important to remember that just because you are refraining from imposing harsh punishments on your young ones, it does not mean that you are already reneging on your responsibility to guide your children. It simply means that you don’t have to make use of harsh punishments to get your message across. Studies have shown that punishing your little ones actually creates more misbehavior. And we believe that it forms part of the things that they learn in their early education as well. Whether you intended such consequences or not, teaching your kids a lesson by imposing punishments make them angry and defensive instead. It disconnects you from your children and results in you having less influence over them. In time, it may teach your children all the wrong lessons rather than those which you initially wanted to impart. This entry was posted in Child's Discipline and tagged Child Development, Child Learning, Early Education. Bookmark the permalink.